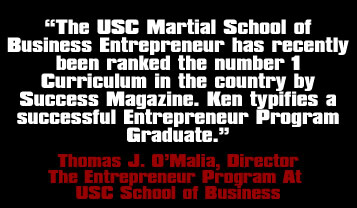 Currently, Ken is a regular contributor for a major mixed martial arts magazine in the US, Ultimate Grappling and Masters. As a pro sports trainer, he has trained many MMA fighters and pro-wrestlers in addition to other pro sport athletes like major league baseball player, Ichiro Suzuki, etc. As he was appointed to organize and lead the Tokyo Sabres of the IFL (International Fight League), his name became more recognized in the MMA industry. Not only did he organize the MMA team, but also he took the team undefeated in the season winning over Marco Ruas’, Matt Linland’s and Don Frye’s teams. Ken’s articles in the magazine emphasize on conditioning and strengthening along with nutrition for MMA. By being a professional bodybuilder and life time martial artist, a lot of readers are learning more and are inclined to contact Ken by email with more questions and with appreciation. Prior to the release of Final Program, he has written all of his “Talk Show Series : Mr. Japan vs. World Top Athletes” in Ironman Magazine Japan. As a celebrity athlete himself, Ken talks and asks in an interview style (like the Oprah Winfrey Show) with world top athletes in a very casual way instead of like an ordinary writer or reporter. His writing style was also enjoyed by many of the readers, and instantly the circulation sky-rocketed! 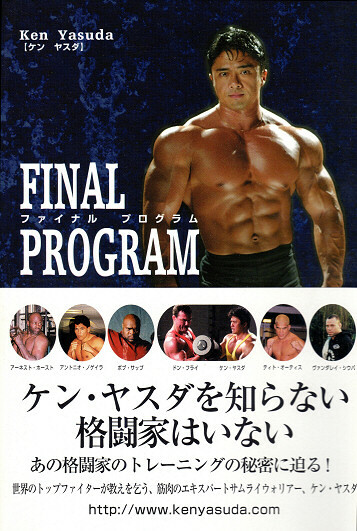 Ken has invited stars such as Ken Shamrock (MMA), Maurice Green (Olympics), Chuck Liddell (MMA), Randy Couture (MMA), Don Frye (MMA), Giant Cali (WWE), etc. Since he has been friends with many of them from before, the interviews were smooth, and influenced many readers’ lives with the series. Many fans learned that top athletes are not just good at what they do, but all of them take care of their healthy, physique with proper training and nutrition, and balance out their life styles.